A poetry slam is like a series of high-energy, three-minute one-person plays, judged by the audience. Slam poetry is an art form that allows written page poets to share their work alongside theatrical performers, hip-hop artists and lyricists. All types of poetry are welcome on the stage, from street-wise hip-hop and narrative performance poems, to political rants and introspective confessionals. Any poem is a “slam” poem if performed in a competition. All poets get three minutes per round to entertain and inspire the audience with their creativity. All poets are welcome to compete for the $75 grand prize and $25 second-place prize. To compete in the slam, poets will need three original poems, each lasting no longer than three minutes. No props, costumes nor musical accompaniment are permitted. The poets are judged Olympics-style by five members of the audience selected at random at the beginning of the slam. 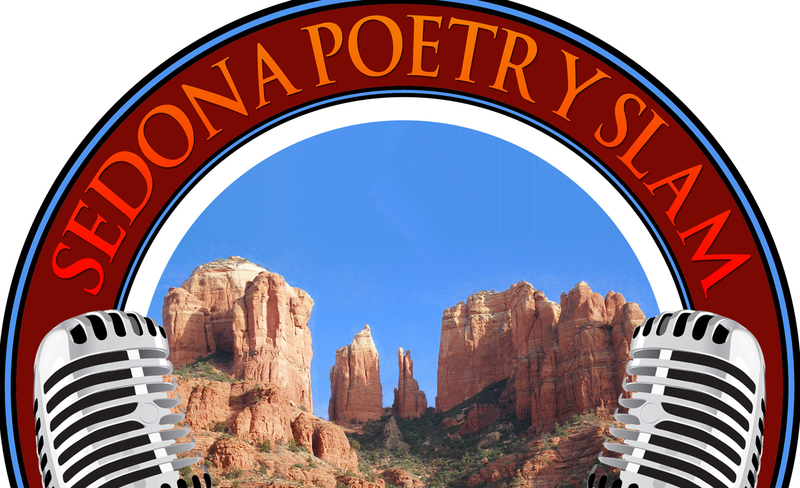 Poets in the Sedona Poetry Slam come from as far away as Phoenix, Tucson and Flagstaff, competing against adult poets from Sedona and Cottonwood, college poets from Northern Arizona University and youth poets from Sedona Red Rock High School. The second slam of the spring will be held Saturday May 25. The prize money is funded in part by a donation from Verde Valley poetry supporters Jeanne and Jim Freeland. Contact host Christopher Fox Graham at foxthepoet@yahoo.com to sign up to slam early by Friday, April 26, or arrive at the door by 7 p.m. April 27 to sign up the day of the slam. Poets who want to compete should purchase a ticket in case the roster is filled before they arrive. The Sedona Poetry Slam will be hosted by Graham, who represented Northern Arizona on 12 FlagSlam National Poetry Slams in 2001, 2004-06, 2010 and 2012-18. Graham has hosted the Sedona Poetry Slam since 2009. Founded at the Green Mill Tavern in Chicago in 1984 by Marc Smith, poetry slam is a competitive artistic sport designed to get people who would otherwise never go to a poetry reading excited about the art form when it becomes a high-energy competition. Poetry slams are judged by five randomly chosen members of the audience who assign numerical value to individual poets’ contents and performances. Poetry slam has become an international artistic sport, with more than 100 major poetry slams in the United States, Canada, Australia and Western Europe. Slam poets have opened at the Winter Olympics, performed at the White House and at the United Nations General Assembly and were featured on “Russell Simmon’s Def Poets” on HBO.